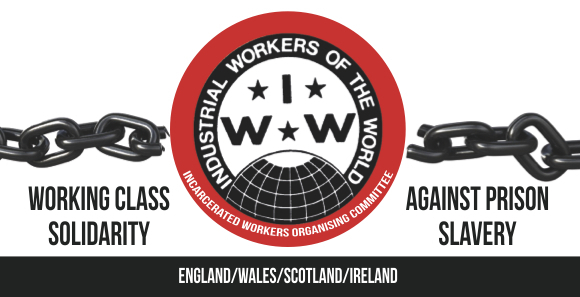 The Incarcerated Workers Organising Committee will be talking at the first “No More Prisons” conference, March 4-5 2017 in Manchester. We hope to meet each other, coördinate our struggles, share our skills, and educate one another on our campaigns..
Our anti-prison conference is designed to grow our movement nationally, in order to try and stop the five new mega-prisons in their tracks! Register on-line; we can offer transportation, funding and housing for people coming for the weekend. As you may know, the government is in the process of building five new mega-prisons in the UK, while at the same time increasing the rates of arrest, conviction and the length of prison sentences. This is intimately connected to austerity: as services are cut, the police and prisons move in to solve problems caused by mental health, poverty and homelessness. At the same time, anti-immigration policy means more and more refugees and undocumented workers languish behind bars in detention centers. But we can fight back against this trend! The wave of prison uprisings currently rolling across the system shows that prisoners are fed up and getting organized. It is a crucial moment for us to act. And across the country, anti-prison expansion campaigns are growing, alongside campaigns against unjust sentencing, police violence and brutality, racial oppression, and other issues intimately connected to the prison system. Many of these struggles remain locally focused. We need a movement that can also address the national picture, that can coordinate large enough mobilizations and campaigns to truly stop these new prisons in their tracks. With that in mind, we want to gather the people working on these various campaigns to coordinate, learn, and build a network capable of fighting against the new prisons, unjust sentences, police violence, and for immigrant justice as a united force. Please join us for a weekend in sunny Manchester to discuss all these issues. A program will be sent out soon. Please register if you’re interested in attending, and see you there!